Well, well, old sport! I’m glad to say that I was pleasantly surprised by the latest rendition of F. Scott Fitzgerald’s literary masterpiece which most of us know and love. However, I can understand why critics are especially negative with this film. With Baz Luhrmann as director and screenwriter and Jay Z as executive producer, we all knew that this could have been an extravagant hot mess. Of course, most still think it is, but I’m of the opinion that it could have been so much worse. I mean, who could deny how absolutely gorgeous the costumes, cars, and sets were! I’ll deal with Gatsby’s irritating repetition of his catchphrase “old sport,” because all the shimmer and sparkle made me want to throw on a flapper dress and learn the foxtrot! Given all the pomp and circumstance, I wasn’t expecting such a character-driven film. I felt that the casting was excellent, and I’m not just talking about Leonardo “He STILL doesn’t have an Oscar? !” DiCaprio. Sure, this movie was over-the-top and melodramatic. Might I add that the 1974 version was too, just without all the fireworks and confetti. And don’t forget that Fitzgerald’s characters were written to be affected and biased! Everyone’s playing a role in this grand vision inside their own heads–which is why it’s so tragic when everything falls apart. Cinematically, this film suffers from its emphasis on gratuitous 3D scenes. I could do without the frequent shots of the two mansions across the bay or the tacky depiction of Myrtle’s unfortunate end. But after watching “Romeo + Juliet” and “Moulin Rouge!,” it’s not like Luhrmann’s flamboyant style was at all shocking. What I wasn’t expecting was how clever this adaptation was, tipping its hat to the one before it. I caught two references to the 1974 predecessor, one where a party guest repeats Mia Farrow’s famous line, but this time to Nick instead of Gatsby. 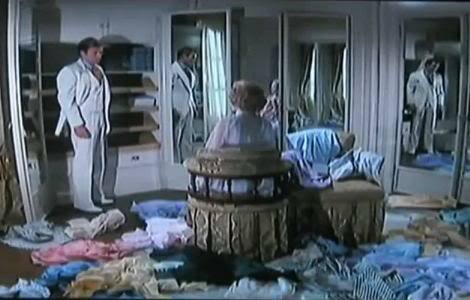 The hissy fit in which Farrow throws clothes at Robert Redford was also altered to Dicaprio delightedly tossing the clothes to Mulligan to display his newfound wealth. Even the soundtrack was more subtle than I thought it would be. I smirked when I heard “Crazy in Love” during Gatsby’s tea party-induced anxiety, but the songs work in a weird way. And if Kanye West, Lana del Rey, and Gotye make The Great Gatsby more relevant for the Millennial generation, so be it. Today I’ll be watching Leonardo Dicaprio as Gatsby in Baz Luhrmann’s movie adaptation! I am pretty skeptical about the success of this attempt to translate Fitzgerald’s masterpiece on film, especially with its dubious modern soundtrack, but I’m going to go in with an open mind. 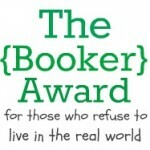 No matter what, it will make for a great movie review, so be sure to revisit Book Club Babe soon! The novel follows the protagonist Nick Carraway, who has come back from the first world war and moved into a house next to Jay Gatsby’s mansion. Gatsby is a mysterious millionaire obsessed with Daisy Buchanan, an attractive albeit shallow woman married to Tom. Daisy is also Nick’s cousin, so he comes to know all of the couple’s secret affairs: Tom is having an affair with Myrtle Wilson, who is also married to a mechanic named George. Although the premise of the novel is simply of unrequited love and adultery, what makes it a masterpiece is Fitzgerald’s beautiful prose. He packs so much emotion and insight into each sentence that you can’t help be awed by the story. Because Nick is the narrator, not Gatsby, you’re like a fly on the wall who feels so close to the characters, and yet so detached from them at the same time. True understanding for the reader is just as appealing and unattainable as the green light shining across Daisy’s dock. Fitzgerald, of course, writes what he lives. The Great Gatsby is a wonderful opportunity to learn about the “Roaring ’20s;” all the clothes, cars, dancing, and parties really paint the picture of America during this time. Fitzgerald is also an autobiographical author, basing his characters on the people around him, and I would love to read more of his work [EDITOR’S NOTE: I have taken this statement back. Read my unsatisfied review of Tender is the Night to learn why]. 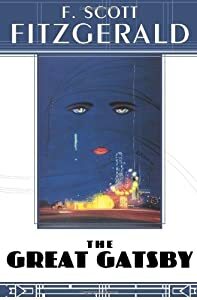 Most of you have probably already read The Great Gatsby, but I try not to spoil the novels I feature, just for the few who might be interested in picking them up. And since Hollywood is working on a new adaptation (starring Tobey Maguire as Nick, Leonardo DiCaprio as Gatsby, and Carey Mulligan as Daisy), this would be an excellent time for fans to reread Fitzgerald’s best work–if anything, to get the bad taste out of your mouth from watching the hilariously melodramatic 1974 version with Robert Redford and Mia Farrow. So feel free to share your love (or loathing!) of The Great Gatsby! So I’m starting another SAT prep class today, and when I teach the essay section, I follow a five-paragraph structure with an intro, conclusion, and three body paragraphs–each with a personal, historical, and literary example. That way, they answer the prompt with specific arguments rather than vague, undeveloped notions. I’ve been doing these classes for a year now, and it’s so amusing how predictable their literary examples get. One of their favorites is F. Scott Fitzgerald’s The Great Gatsby, first published in 1925 and has now become required reading for most juniors in California. The novel follows the protagonist Nick Carraway, who has come back from the first world war and moved into a house next to Jay Gatsby’s mansion. Gatsby is a mysterious millionaire obsessed with Daisy Buchanan, an attractive albeit shallow woman married to Tom. Daisy is also Nick’s cousin, so he comes to know all of the couple’s secret affairs: Tom is having an affair with Myrtle Wilson, who is also married to a mechanic named George. Fitzgerald, of course, writes what he lives. 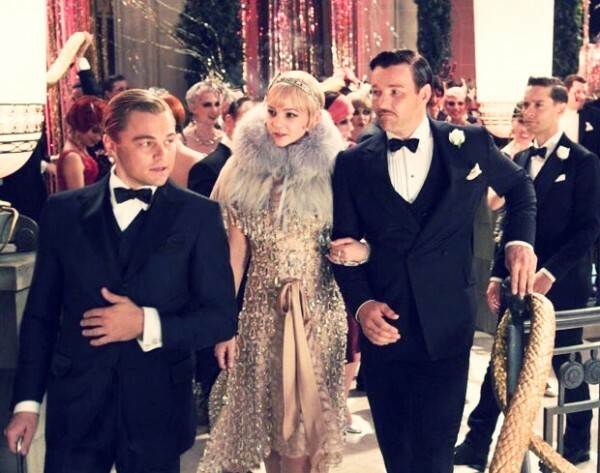 The Great Gatsby is a wonderful opportunity to learn about the “Roaring ’20s;” all the clothes, cars, dancing, and parties really paint the picture of America during this time. Fitzgerald is also an autobiographical author, basing his characters on the people around him, and I would love to read more of his work (Tender is the Night and This Side of Paradise, especially) to learn more about his fascinating life. Most of you have probably already read The Great Gatsby, but I try not to spoil the novels I feature, just for the few who might be interested in picking them up. And since Hollywood is working on a new adaptation for fall 2012 (starring Tobey Maguire as Nick, Leonardo DiCaprio as Gatsby, and Carey Mulligan as Daisy), this would be an excellent time for fans to reread Fitzgerald’s best work–if anything, to get the bad taste out of your mouth from watching the hilariously melodramatic 1974 version with Robert Redford and Mia Farrow. "Haven't you heard?! Rich girls don't marry POOR BOYS!" Well, I better prepare for my class now, but feel free to share your love (or loathing!) of The Great Gatsby!